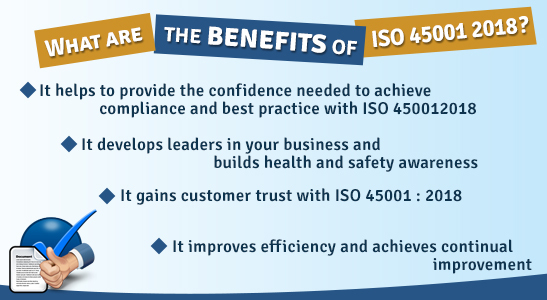 As a popular British standard system, ISO 45001:2018 is widely used to obtain sustainable health and safety management systems at workplaces around the world. Compliance with ISO 45001:2018 system can help organizations offer demonstrably sound OHS system for their employees to protect them from wide range of dangers and health risks. IRCA-approved Lead Auditors certification gives students an authority to advice, plan and execute measures to have sustainable and advanced Occupational Health and Safety Management System. The course covers a part of the training required to seek registration under IRCA OH&S Auditor/Lead Auditor Registration Scheme. The five-day course covers the following topics. Students should preferably have basic knowledge on ISO certification needs and occupational health & safety audit. Those who don’t have basic understanding on ISO 45001 standards should first study IRCA2121 foundation course before joining this five-day intensive training program. Students and professionals prefer Green World Group in New Delhi to study ISO 45001:2018 lead auditor course as it provides high-class and cost-effective training program on safety and health management, audit planning and techniques, detailed analysis on international standards and practices in risk assessment, documentation procedures and other vital information required to conduct successful auditing. The institution has state-of-the-art class-rooms and offers up-to-date teaching techniques with the help of experienced faculty members. Students are provided individual guidance to sharpen their auditing skills. Green World Group has been the forerunner in supplying competent HSE professionals to industries around the world. Having branches around the world, the educational institution and advisory board in New Delhi has introduced several indigenous courses and also tied with several renowned international institutions such as IOSH, NEBOSH, IRCA, HACCP, CPD, ROSPA, NCFE to offer world-class certification courses on occupational safety and health. 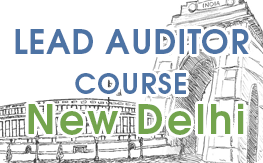 As risk and health audit help companies strengthen their safety mechanism, Green World Group in New Delhi offers the prestigious and highly popular International Register of Certificated Auditors, London (IRCA)-recognized Lead Auditor Course ISO 45001:2018 in coalition with BSCIC Certification. 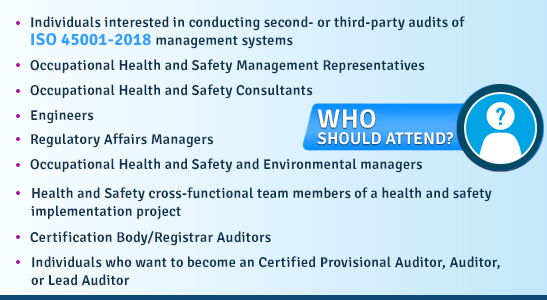 On successful completion, candidates can be regarded as internationally recognized auditors who can audit companies for their preparedness in occupational health and safety. Students and working professional can join IRCA-accredited ISO 45001 auditor and lead auditor courses at Green World Group in New Delhi. On successful completion of the international Occupational Health and Safety management system Lead Auditor course, students can look to become accredited members in International Register of Certified Auditors (IRCA). As IRCA recognized auditors, candidates can serve as independent auditors and help companies to have effective health and safety management to bring down disasters and fatalities due to workplace accidents and hazards. New Delhi – 110 005.